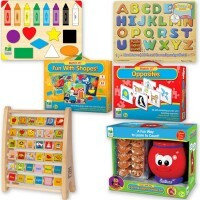 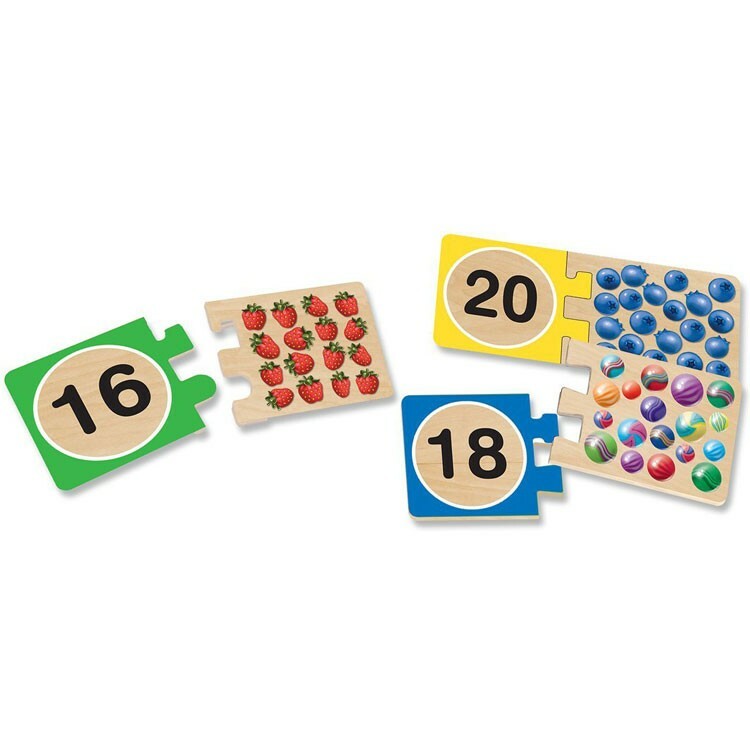 Each of the wooden number puzzle piece from this Melissa & Doug's number matching puzzle set matches up to another piece with groups of objects that correspond with the number. 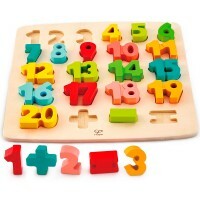 Number learning for kids of any age! 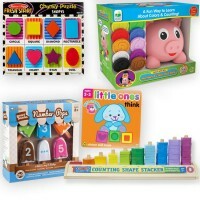 The Numbers Wooden Puzzle Cards by Melissa & Doug is an exciting way to introduce your little ones to math fun. 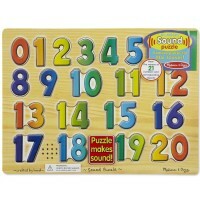 Each puzzle card set includes puzzle pairs representing numbers 1-20. 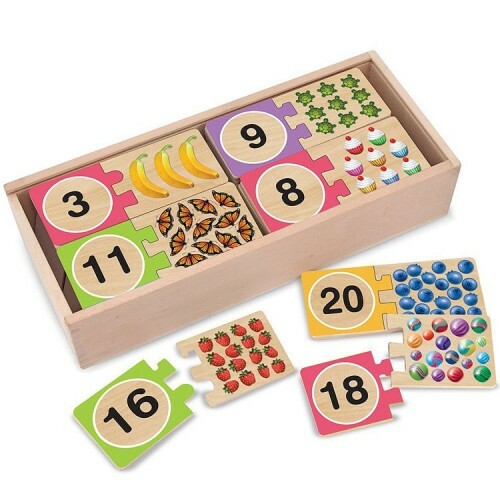 Each wooden number piece matches up to another piece with groups of objects that correspond with the number. Match the 3 bananas to the numerical 3 or the 8 cupcakes to the numerical 8. 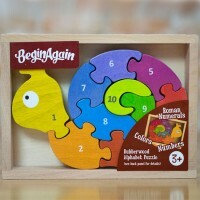 All matching pairs are self-correcting, so you'll know when you've matched the right pairs. 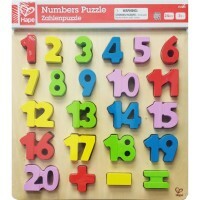 The Numbers Wooden Puzzle Cards set from Educational Toys Planet features easy-to-grasp, durable wooden puzzle pieces with smooth edges and meets all the highest safety standards. 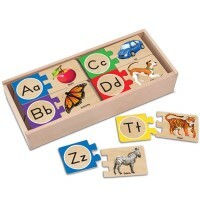 Each illustration is hand painted with vibrant non-toxic paints. 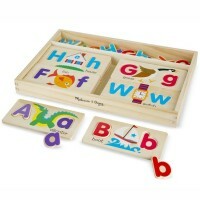 When it's time to clean up this durable numbers activity toy, all puzzle pieces fit neatly in the wooden storage box. 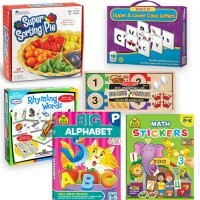 Enhance early math skills, motor skills and problem solving with this family-friendly activity set. 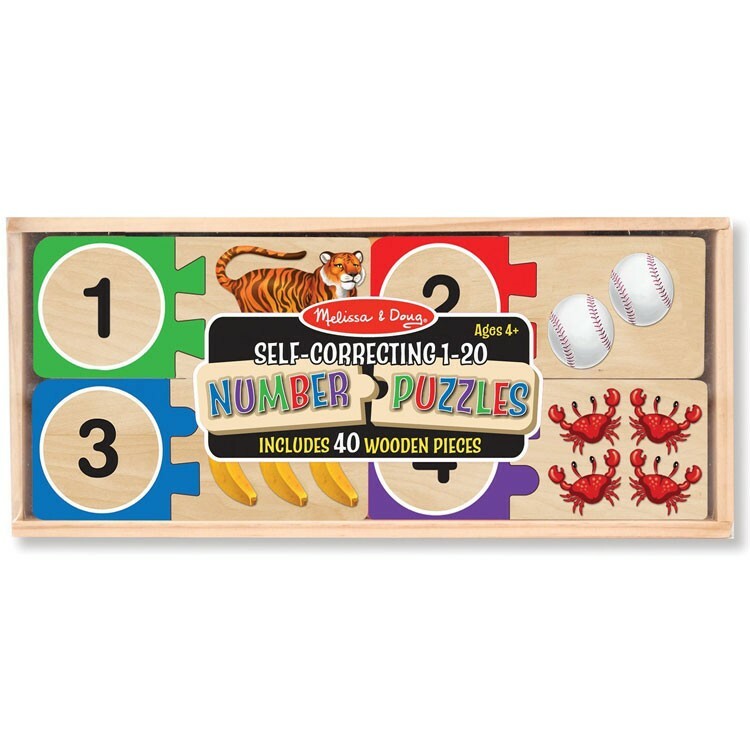 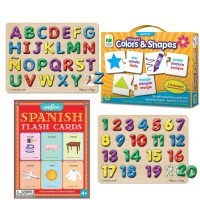 Dimensions of package 6" x 13" x 3"
Write your own review of Numbers Wooden Puzzle Cards.